Hey, all. 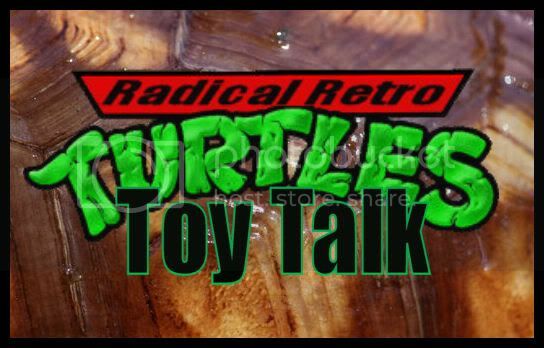 Welcome to the pilot installment of RADICAL RETRO TURTLE TOY TALK! Last month when I got the 25th Anniversary Turtle Party Wagon, I really started missing my TMNT collection from childhood. So, rather than waiting around forever for the 3rd 25th Anniversary wave, I’ve been hunting down a lot my old favorites, with the goal of rebuilding my collection from way back when. I thought it might be fun to share my mission progress with the world. Depending on feedback I get, this may become a weekly series which could include reviews of classic Teenage Mutant Ninja Turtles toys, comparisons of vintage & modern TMNT stuff, or maybe the occasional rant on various Turtle-related topics. As this is a pilot, it is a merely a written review, but could evolve into other mediums like video or podcasts. The first figure reviewed for RADICAL RETRO TURTLE TOY TALK! is this strange…looking…guy? I know what you’re thinking. ‘Suine, what in the world does this weirdo with the hat, trench coat, & goofy looking face, have to do with TMNT?’ Well, believe it or not, that goofy looking face…IS A MASK! And this guy is no weirdo; he’s actually the brains of the green teens, none other than Donatello! Admit it, he had you fooled. There’s no way you could possibly tell who that was! 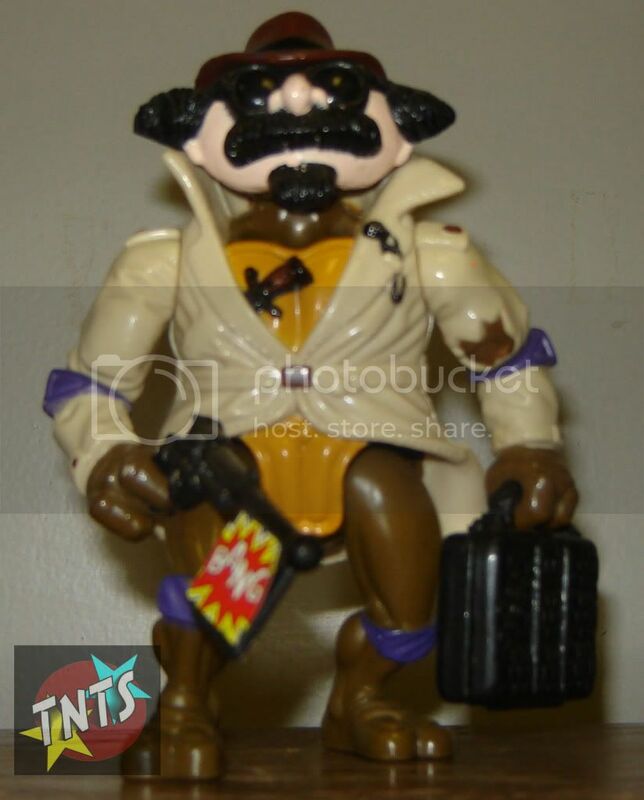 Don, the Undercover Turtle was one of my absolute favorites from the original Playmates toy line. In 1994, all four Turtles got the Undercover treatment, but Don, the Undercover Turtle came four years earlier, in 1990. Don, the Undercover Turtle has all the markings of a classic detective. On his dome sits a brown Fedora that no detective could possibly do without. He wears a non-removable trench coat with his trademark purple elbow pads on the outside. The tattered hole in his left sleeve could be indicative of a gunshot, as private dicks seem to be prone to at times. Tucked in his coat is a non-detachable dagger and on his coat’s lapel, he wears a wire. So, if you think you smell a rat, it might be Don stinking up the joint rather than Splinter! 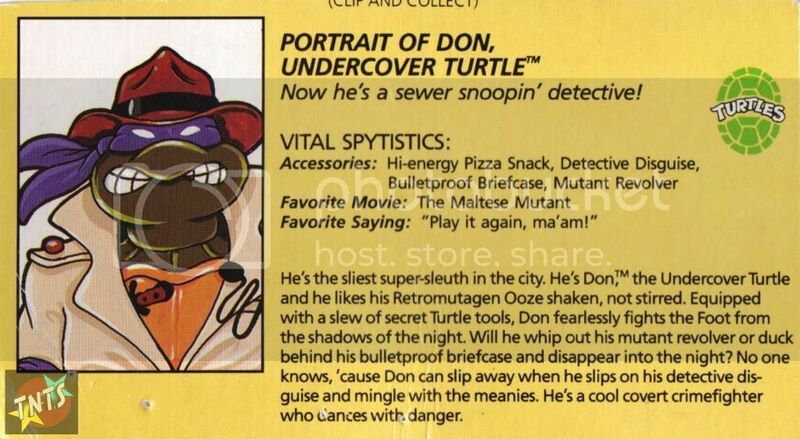 In addition to his Detective Disguise mask, Don’s accessories include Hi-energy Pizza Snack, Bulletproof Briefcase, and Mutant Revolver. The Hi-energy Pizza Snack is just that, a solid black slice of pizza (or it can be a burned pizza slice if you want to use your imagination). The Bulletproof Briefcase actually opens up to reveal two decals of all of Don’s detective tools, including his secret files, magnifying glass, walkman, phone, badge, & spare ninja gear. 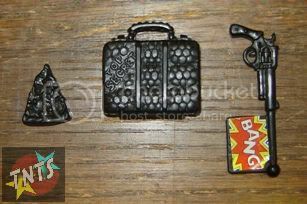 The Bulletproof Briefcase is also the perfect place to store the Hi-energy Pizza Snack. The Mutant Revolver is simply a black revolver that has seemingly been fired only to reveal a “BANG” flag. These items all perfectly compliment the figure. Now, let’s compare him side by side with original Donatello. 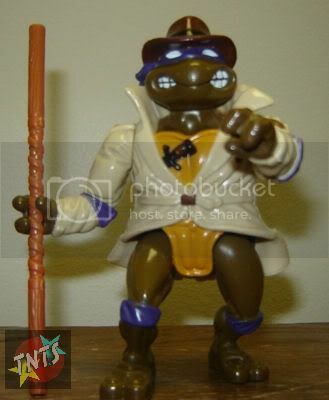 The figure pictured here is a 25th Anniversary re-release of Donatello, not an actual 1987 original. Besides the clothing, there are a few significant differences between the two figures. As you can also see on the close-ups, Don, the Undercover Turtle’s skin and pads are slightly darker shades of green and purple. Additionally, the original Don had ball-jointed legs, allowing more options for posing options. Don, the Undercover Turtle has hinge-jointed legs, allowing for only forward and backward movement. On one hand, the limited flexibility is a little disappointing, but I would say it’s a fair trade for the awesome trench coat. Also worth noting, original Don also had one of his feet arched, while this Don is, pun intended, a total flatfoot! My only slight gripe, and even then it’s not really a big deal, is his forearm articulation. On the original Don, his forearms rotated in a horizontal circular way, enabling him to hold his bo staff in a combat stance. Unfortunately, this Don’s forearms rotate inward and outward, so borrowing original Don’s bo and making a 2 handed battle pose is impossible. Despite any minor issues, Don, the Undercover Turtle remains one of my favorite TMNT figures of all time. I love this figure just as much today as I did when he was introduced to me by my neighbor when I was 12, which is why I chose him to be my first figure review for what I am hoping, will be an on-going series. And there you have the pilot installment of RADICAL RETRO TURTLE TOY TALK! So, what did you think? 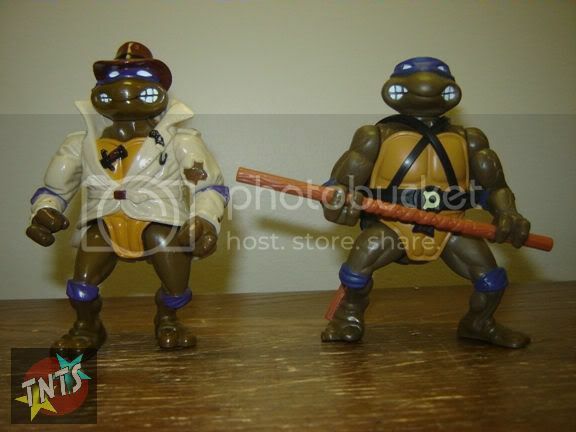 Do you want to see more Radical Retro Turtle Toy Talk? Be sure to leave us a comment in the forums and let us know!